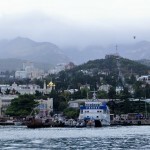 Yalta is known as the pearl of the Crimean Riviera. 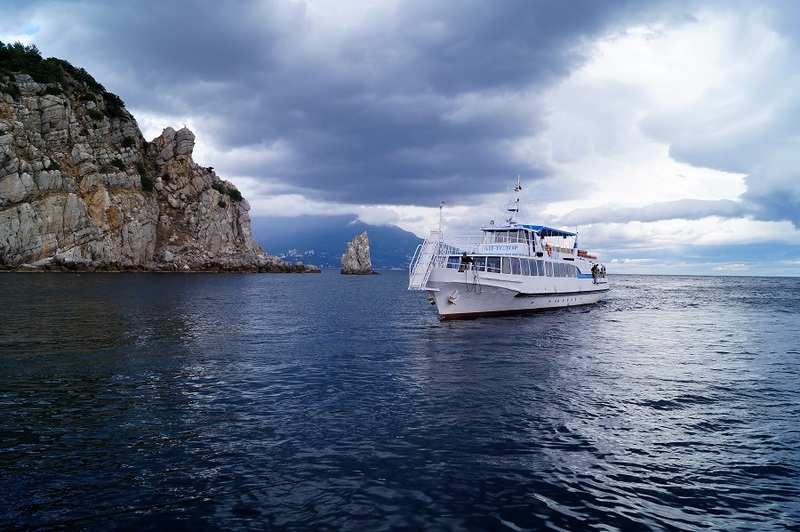 The city of Yalta was founded by Greek navigators, who named it ‘yalita’ means on the coast. 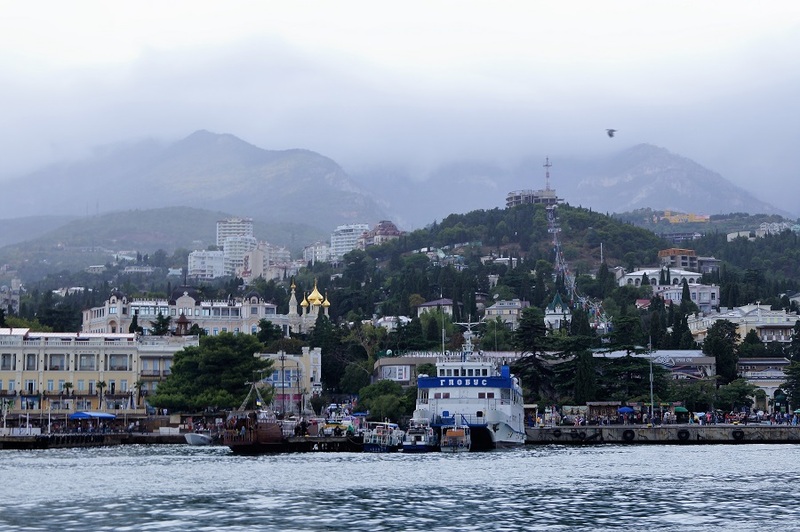 Yalta, was brought to the attention of the world after three world leaders “Stalin of the USSR” “Roosevelt of the USA” and “Churchill from the UK” Held a conference at the Livadia Palace in 1945 after the second world war. 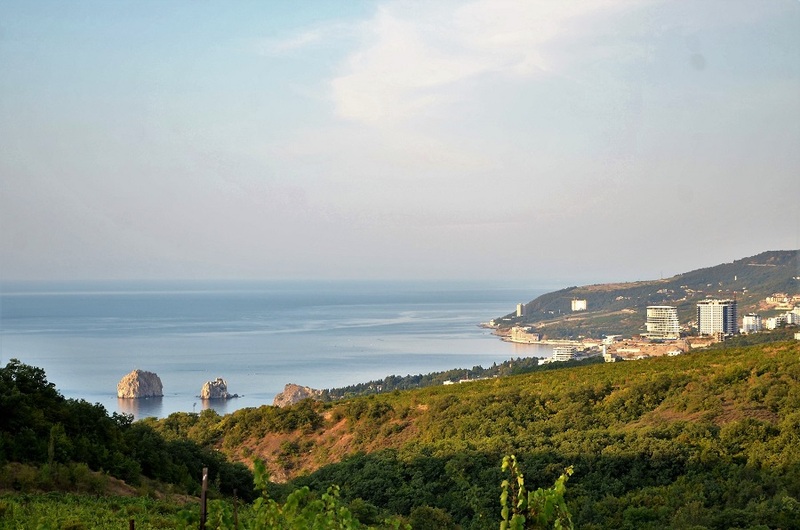 Modern Yalta is one of the best resorts on the Black Sea, where a larger number of sanatoriums and rest homes have been built due to its fantastic climate. Unfortunately, the beaches are small and mostly from pebbles rather than sand. 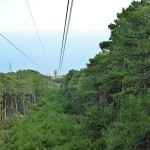 Consequently, they are always extremely crowded during the summer season. 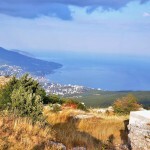 Surrounding Yalta, there are many large palaces, beautiful parks and botanical gardens. 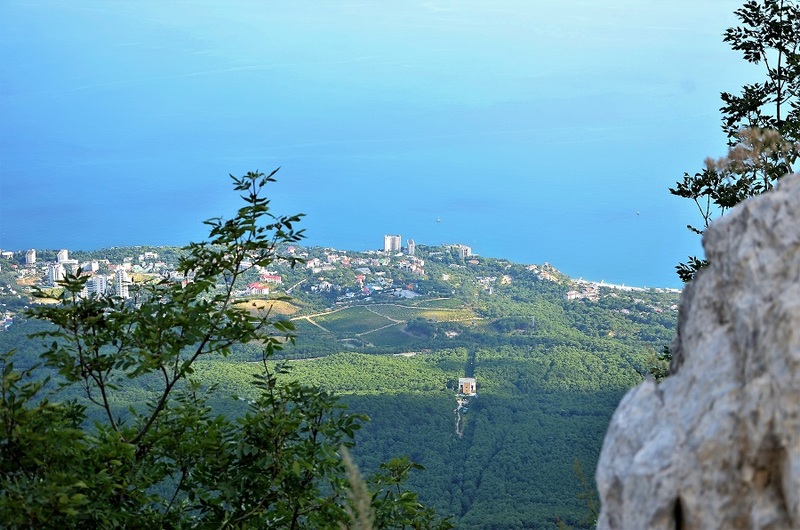 10 kilometers from Yalta lies the town of Miskhor, where you can see the Ai-Petri, a mountain massif originally formed from coral reef. 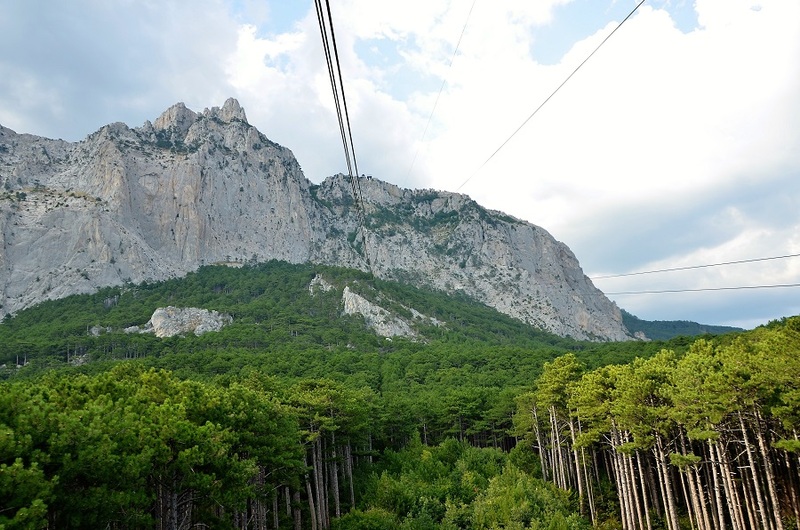 In 1967, a cable car was built from the town to the top of Ai-Petri, some 1,234 meters above sea level. 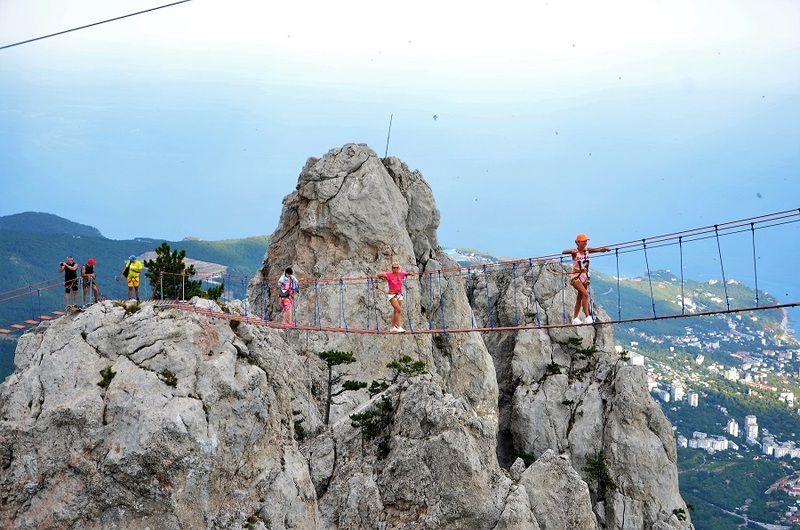 Construction was completed in 1987 and has a total length of 2,980 meters. 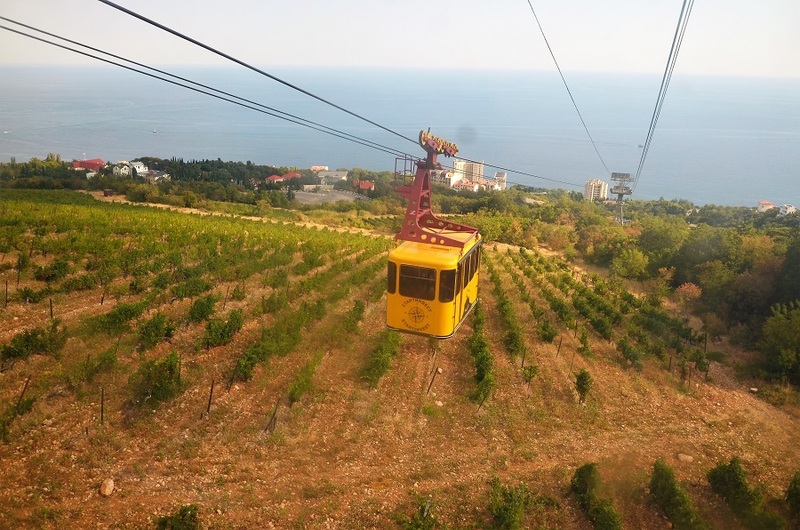 1,670 meters of which is suspended at a 45-degree angle of ascent without any supports, making it the longest cable car flight in Europe. 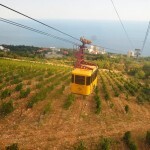 Each cabin can accommodate up to 40 people and the climb to the top with one change at the intermediate station takes about 20 minutes. 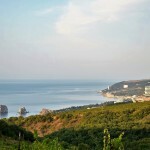 About 200 million years ago the territory of the present Crimea was covered by the waters of the Tethys ocean. 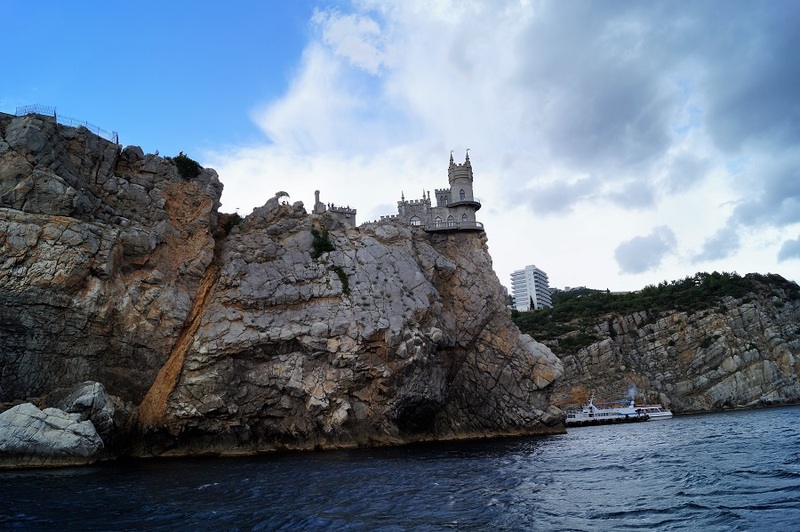 The teeth of Ai-Petri (the teeth of St. Peter in Greek), reminiscent of a crown, are limestone reefs formed from dead petrified corals and marine organisms, from the top one can get a magical view of the South coast, ranging from the Ayu-Dag mountain (Bear Mountain) because of a similar outline to a sleeping bear, to the village of Simeiz. 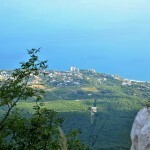 The mountains protect Yalta from the northern winds. 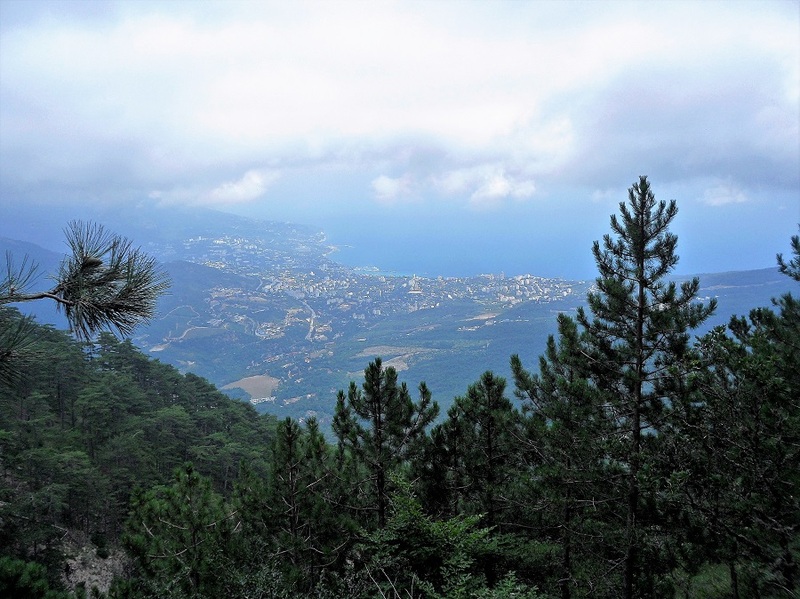 When black clouds hang over Ai-Petri on a rainy day, Yalta basks in beautiful sunny weather. 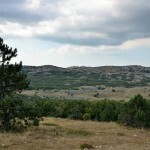 The air temperature on the Ai-Petri plateau is 7 degrees lower than in Yalta and snow usually falls in winter. 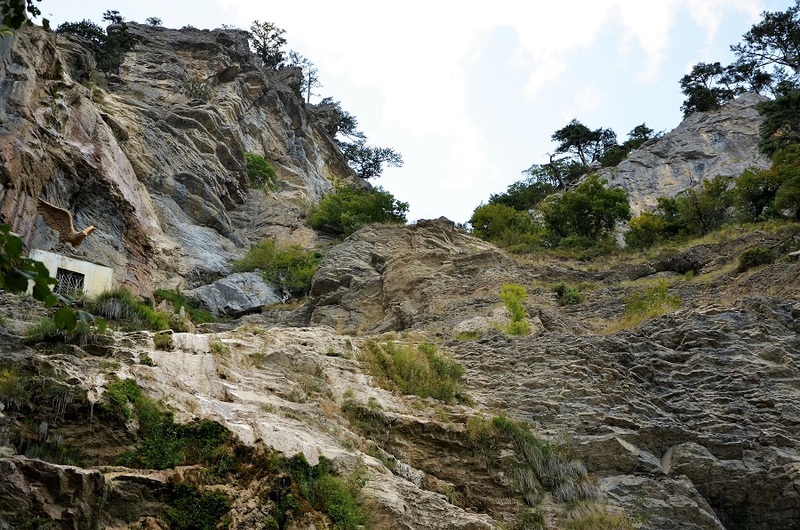 Ai-Petri plateau is the windiest place in Crimea, winds sometimes do not stop here for several months and their speed can reach 50 mps. 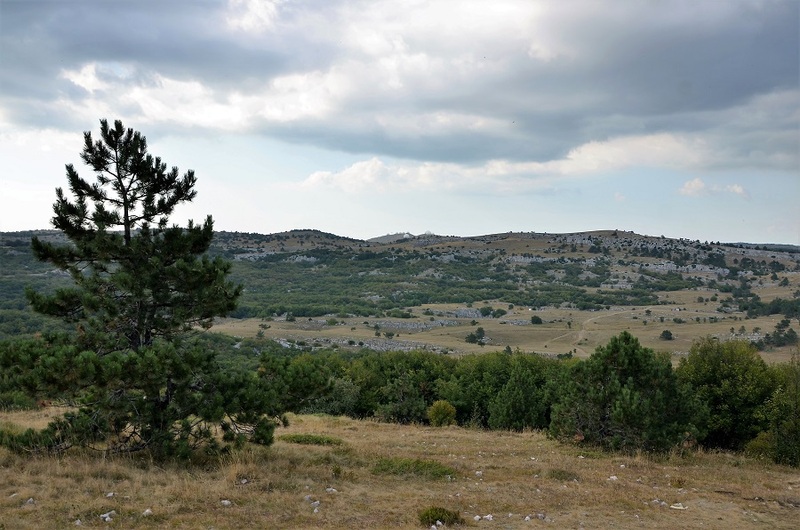 Strong winds affect the flora but the plateau has a beech-hornbeam forest, and fluffy oak, Crimean pine, juniper and pistachio can be found growing here. There is a small birch grove, which is very unusual for this place. 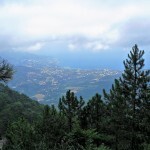 Many of the plants are endemic. Recently, fixed suspended stairs between the battlements, have been built to test your courage as adrenaline entertainment, unto which you can step, very impressive! 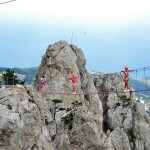 The main thing is not to look down, as they are 60 meters above the rocks, at 1200 meters above sea level. 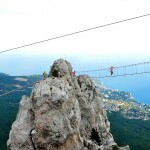 Another amusement is the descent along a cable rope some 800 meters long at a height of 40 meters, along which you fly away from the Ai-Petri teeth at a speed of about 40 Kph. 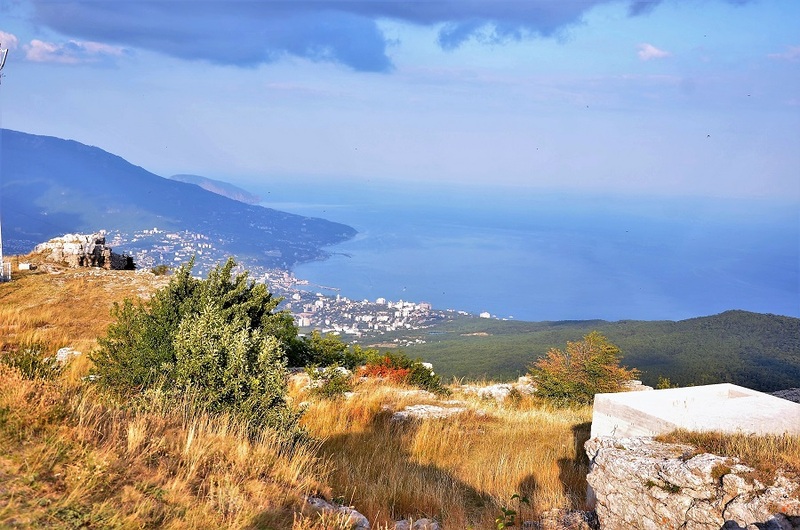 You can drive down from the top of Ai-Petri along the Bakhchisarai to Yalta road, literally winding down the very steep slope, in some places reaching an 80 degrees angle. 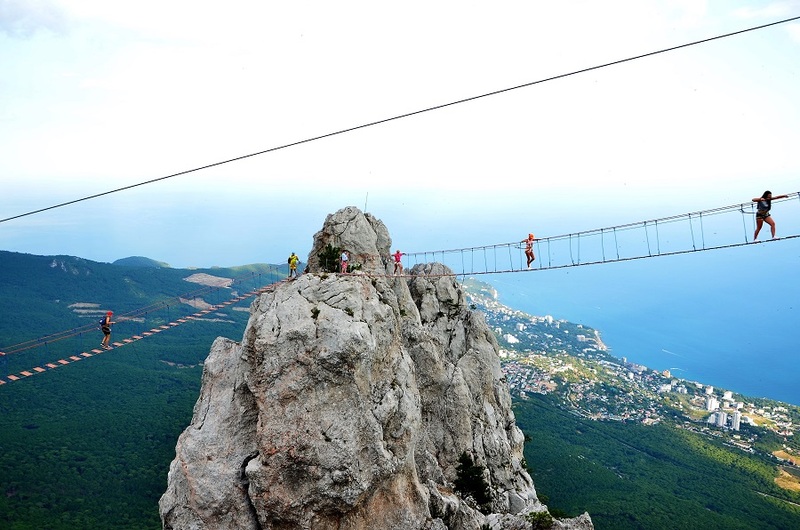 The road was built almost 30 years ago by Russian military builders and was completed by 1894. Since then, it has only been slightly expanded and covered with asphalt. 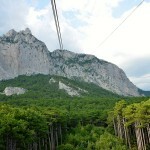 On the way to Yalta, there are several interesting and beautiful places. A beautiful view opens up from the Silver Arbor on the top of the Pendikul mountain (‘five lakes’) at an altitude of 865 meters above sea level. 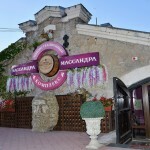 The Arbor was installed in honor of the people who built the road from Yalta to Ai-Petri and Bakhchisaray. 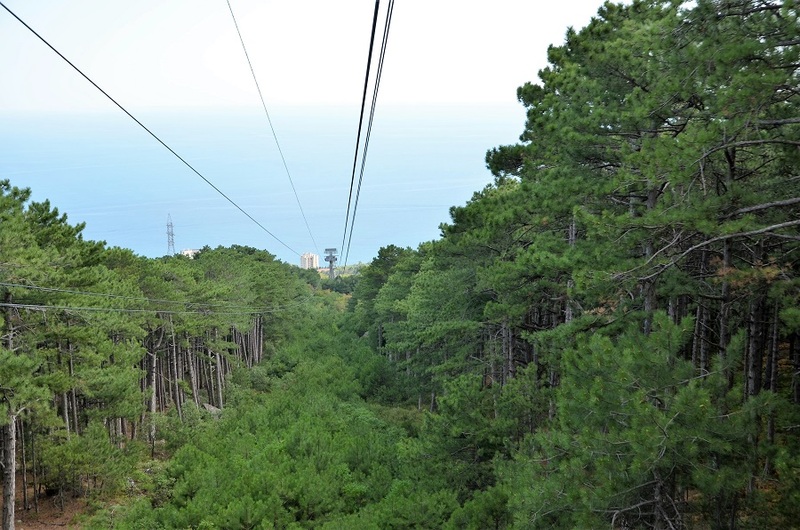 In the ‘Drunken Grove’ because of a landslide, the pine trees are unusually tilted in different directions. Another is a walk to the waterfall Wuchang-Su (the Tatar word for ‘flying water’). 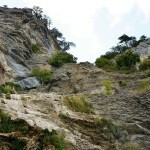 This is the highest waterfall in Crimea, about 98.5 meters tall, although not the fullest. In the summer, when there is no rain, the waterfall tends to dry up. But in the spring thawed waters from the mountain rivers, wake the waterfall once more. 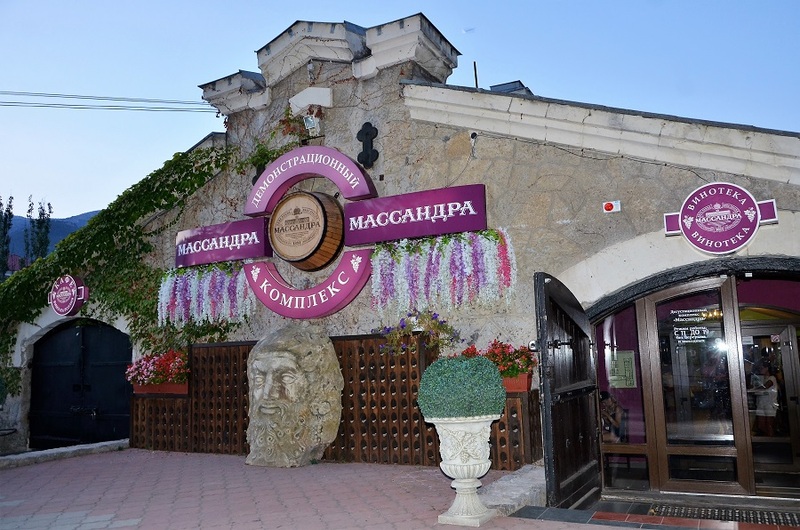 By the evening we arrived in Massandra, we bought some great wines from the Massandra winery and left late in the evening for the Yalta-Alushta road. Along the mountain road we passed many small resort villages, where parking spaces are limited. Wondering where to spend the night, we turned off the track at the foot of the Ayu-Dag mountain and set up a tent in the forest. 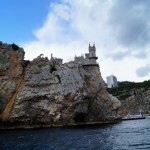 The next morning we admired views of the Gurzuf village and the cliffs of Adalara in the sea, illuminated by the dawning sun. 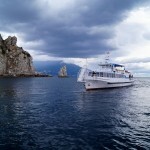 This entry was posted in Nature reserve, Photo gallery, Sea resorts and tagged Yalta. Bookmark the permalink.